Beyond Blush: Lululemon Warehouse Haul! By the time I got there, the initial line-ups took about an hour and a half, to get into the sale. There was fun, dance music to keep everyone upbeat, as well as gymnastics routines and a trampoline show. The line actually seemed to move pretty quickly! You had to coat check everything that you had on you (coat, purse, etc.) and you could only bring in your wallet. Davids Tea was there, giving out various tea samples while you waited in line. I'm not a tea drinker, but it did smell really good! Line up to get into the sale! 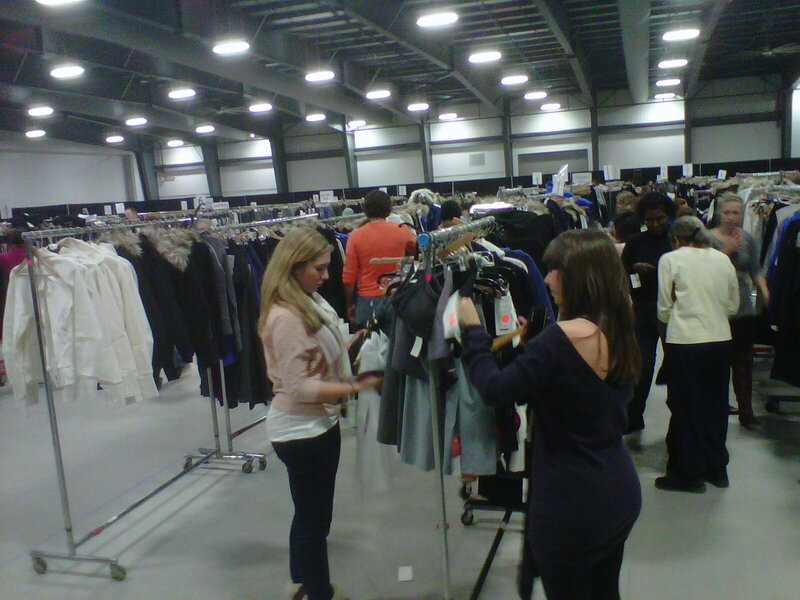 Inside the sale, everything was organized by sizes, on racks. The staff were all really friendly and upbeat, which made the day really fun! I wasn't able to find any Astro or Groove pants in my size, which was sort of disappointing. But I did leave with two pairs of pants, and a pair of shorts! There were a ton of Still Pants, but I didn't like the wide leg of them. Pants were on sale for $55, which is almost half price! Shorts were $29, which is a great deal. Scuba hoodies were $79, which still seems really expensive for a hoodie to me, but it is a great sale compared to the regular retail price. By the time that I got there, I couldn't find any bags or headbands, which I know a lot of people were upset about. These are actually black, I don't know why they're showing up as grey! They took all of the tags off at the cash, so I can't really remember what style these are! If anyone has an idea, let me know! These are the Studio Pant II, again in black, not grey! These are so comfy! I was in and out of the sale in about 3 and a half hours, which I think was pretty good! I took my time looking around, and I had a lot of fun. I do wish that I could have found a pair of groove or astro pants, but oh well! Oh, as I was walking out, I was given a free scarf! This was originally $28, and it's really soft and warm, so it was great to get it for free! Have you been to a Lululemon warehouse sale before? Or were you able to go to the one this weekend? I would love to know what you picked up! The sale is still on tomorrow (Sunday January 22nd) from 9am-9pm at the CE Centre if you wanted to stop by! I'm glad that you had a fun time! :D I like how they had tea!! Wow, it is nice to see another nail polish blogger from Ottawa! Ya the tea was a nice touch! :) Are you from Ottawa as well? Sadly, I didn't hear about the warehouse sale until it was too late, but I'm glad you liked it! soo jealous of your lulu sale! I loove how they had tea sample while waiting in line. 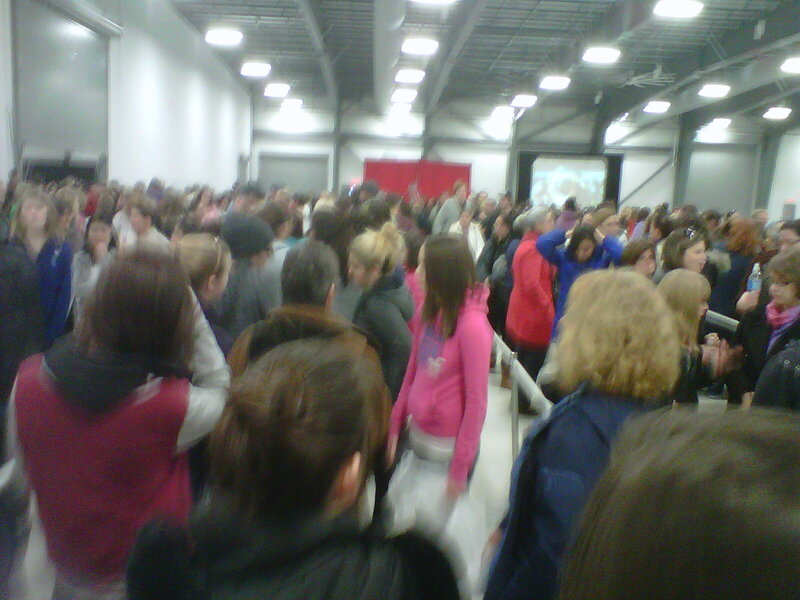 I went to lulu sale in Calgary and it was madness, this one looks really well organized. Thanks for the comment! This was my first ever warehouse sale, I found it really well organized - no pushing or cutting in line! When was the one in Calgary held? You got some great deals! !